Heard of Google Plus? If you’re still a bit puzzled about it, then read on. Google Plus is the newest Social Networking Site that has been launched by Google and they introduced it not as product but a project. Its platform is similar to Facebook, however, it doesn’t intend to replace Facebook’s fame as it is only created as a means to ease the communication to circle of friends and close relatives. Facebook is indeed unbeatable and it cannot be put into question, however, Google Plus offers a much more exciting features and tweaks that can benefit the webmasters and those who have online businesses. 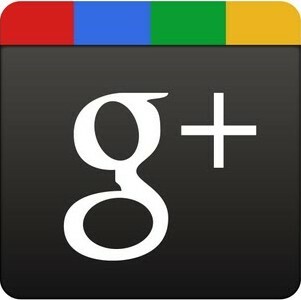 Google Plus can be seen as a hybrid of LinkedIn as well as Facebook. It balances both professionalism and privacy, which can be very helpful for people wanting to connect to several buddies, but are very particular on controlling confidential information and activities. This is a perfect networking site for high profile users but can be very complicated to use for average users, especially those who are used to Facebook and Twitter. Stream –It’s like what we usually see on Facebook Newsfeed. When logging in, you will be directed to Streams where the recent activities of your friends and interests will be shown. Users can also see the activities happening in real time under the box of “happening Now”. Circles – Unlike the common “add as friend” and put them in your single Friend’s list on Facebook, Google Plus tweaked it and made categories under the name “Circles”. They can be titled like circle of “Classmates”, “Workmates”, BFFs and this allows you to control what you share. For example, users can share a certain picture in a certain Circle of friends. Sparks – allows you to receive relevant updates from the Sparks Newsfeed based on your own interest. Hangout Feature – Another interesting feature Google Plus has is the Hangouts. It utilizes the video chat which allows buddies to meet face to face and drop a message by video calls. Up to 10 buddies can meet face to face in a hangout. Users will just click the “hangouts” tab. Google plus is the first social networking site that has used this feature. Webmasters and SEOs can take much advantage from Google Plus, as it effectively brings up one’s website in a faster rate. But keep in mind that it also has drawbacks when it comes to aiming the Top SERP (Search Engine Page rank) on a consistent basis. When joining Google Plus, one can share more about their website and gain traffic, be included in the top stream, and get more and more people visit your website. It effectively raises the Page rank; however, it doesn’t stay there for long. Many web owners will manipulate this platform and pay for bunch of clickers to give thumbs up for their website in Google Plus. Overall, it’s a great SEO technique though, despite its slight drawback, it is considered to be the best SEO technique one can use, especially that today people are into social networking sites. This entry was posted on Monday, August 1st, 2011 at 1:04 am	and is filed under Google, SEO, SMO. You can follow any responses to this entry through the RSS 2.0 feed. You can leave a response, or trackback from your own site.